Wahoo! 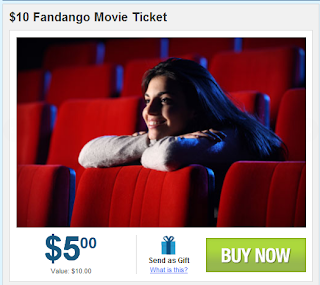 Head over to Half Off Depot to score Fandango movie tickets for only $5. These are regularly $10 each! After you purchase, you will receive a voucher code via email to redeem on the Fandango website. You'll be able to print your tickets at home, retrieve them at the theater, or even get them send to your mobile phone!